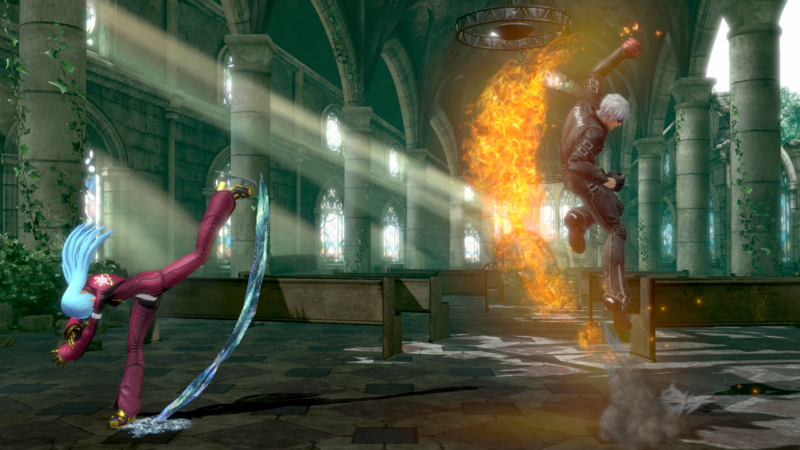 It’s a time of transition for The King of Fighters. It long seemed like it may not even choose to make one, clinging tightly to its ’90s origins and reveling in its pixel-art style. But here we are! It’s 2016, and it’s becoming what most of its peers did over a decade ago: an online-focused polygonal game. 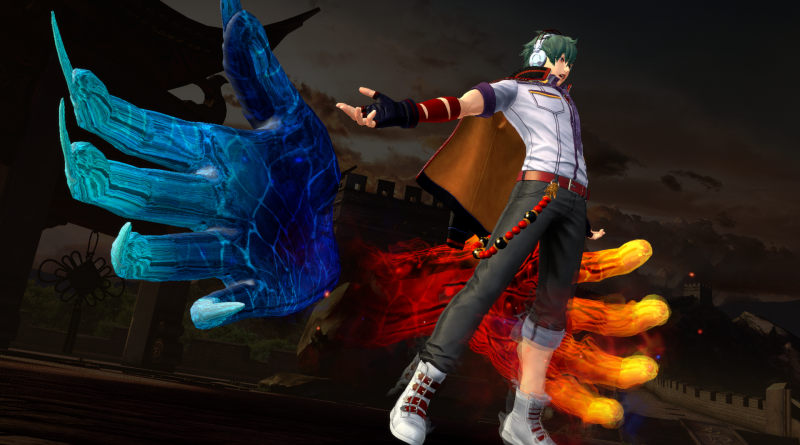 First things first: The King of Fighters XIV manages to still feel like King of Fighters despite its change in visuals. That’s a huge accomplishment; many franchises were still fun after the switch, but few felt as close to the games they once were. There are characters old and new, filling a roster that’s not extravagant but just robust enough to feel right in the franchise’s signature three-on-three format. The most notable change in focus here is a widening of the skill possibilities. Simpler combos are included so newcomers can accomplish really anything at all, but not at the expense of the more involved, more powerful techniques. On the other side, characters sometimes have convoluted combo trees that can take ample skill to master, of course paying dividends if you can manage it. 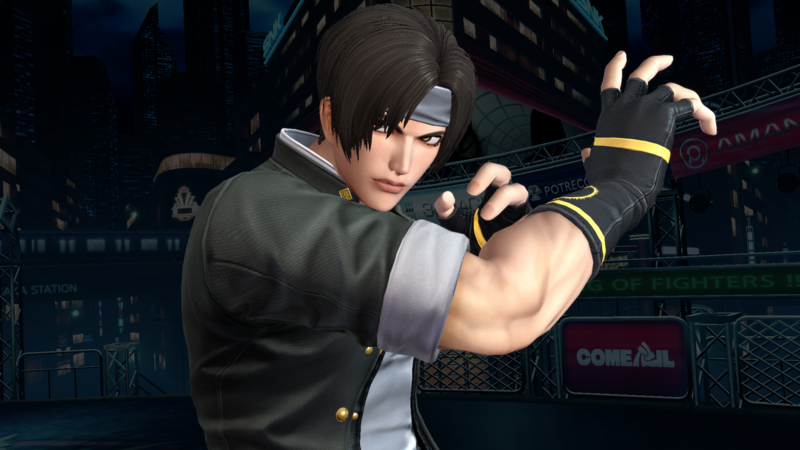 The King of Fighters XIV manages to still feel like King of Fighters despite its change in visuals. Both of these are a long-overdue concession by SNK that the arcade isn’t the primary audience anymore. In that context, it can’t be too easy for players. It also can’t require training modes and move lists just to discover, either. Modern conveniences allow for these sorts of things, and they’re there now. Or you can ignore both of them and fight as usual. It’s a shame, because the roster here is full of characters that we’d love to see interact a little more. There are the mainstays, like Terry Bogard and Athena Asamiya; newcomers, such as pachinko star Love Heart and Samurai Shodown‘s Nakoruru; and totally original creations, like the unforgettable Sylvie Paula Paula. There’s also King of Dinosaurs. King of Dinosaurs is basically Tizoc but is not actually Tizoc. 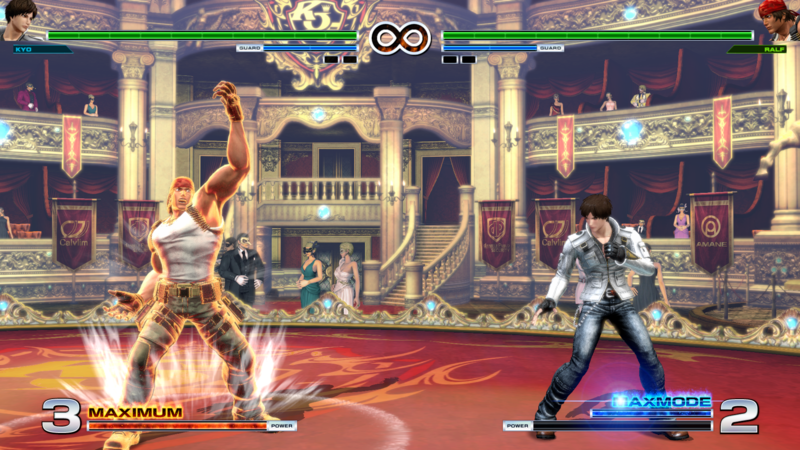 King of Dinosaurs is a king and in The King of Fighters, but not necessarily the King of Fighters. He’s also not the King of The King of Fighters, because King is a totally separate character who is also not necessarily the title holder. But maybe? Both are eligible. We’re just sad there’s not a third “king” character to form a team around the theme. Anyway, the point: this new King of Fighters inches closer toward NeoGeo Battle Coliseum territory, and that’s a good thing. Get weirder and showcase that weirdness with a story, SNK. SNK made a big deal out of rectifying its online play woes in this installment, erasing a flaw that held back its recent efforts. It… has not done that. It feels like there are two sides to online play, randomly presented to you when you enter. The first is a system with a lot of safeguards, delivering rough-but-playable matches on lesser connections and solid ones when conditions improve. The second is a slideshow that crashes and throws network errors. This is based on the pre-release experience, so it could get better with subsequent improvements, but it could also get worse if server load becomes an issue. Which… maybe it won’t if it just kicks half the players off all the time? This… should work better eventually. Fingers crossed. It feels like there are two sides to online play, randomly presented to you when you enter. As for when it does work, it makes some smart choices (like choosing teams before matching for expediency) and some weird ones (like all-purpose lobbies that offer lots of options and little direction as to what to use and how, or a voice chat status box that’s always blocking a third of the screen for no reason). In fact, that sort of approach largely defines this release. The core is strong and there are some intelligent choices for repeat players, but the periphery is muddled. There are a lot of unlockables here, but their conditions are arbitrary and out of the way, and they largely consist of small portraits and voice samples to just peruse. The single-player options outside of Story Mode are limited to a combo challenge and a few survival gauntlets, and there’s little reason to spend time on these. It’s a hard game to understand, but it gets its foundation — the fighting itself — right to a degree that seems unlikely with such a systems transition. 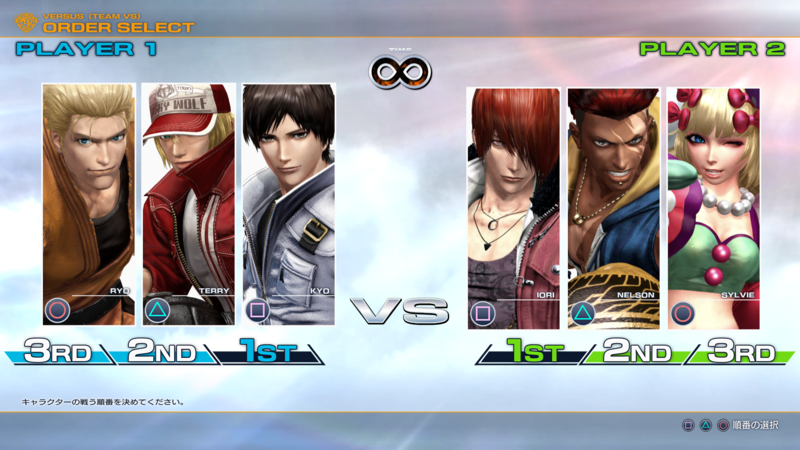 It’s great to see SNK devote itself to core games again, and there’s a level of talent shown in The King of Fighters XIV that shows the team there still knows how to make a quality product. It’s just not everything. The good thing is that it’s way easier to build more content around solid fighting than to fix the fighting itself under the weight of additional modes, so the future for the series could be bright indeed. It… just needs to survive the present first.